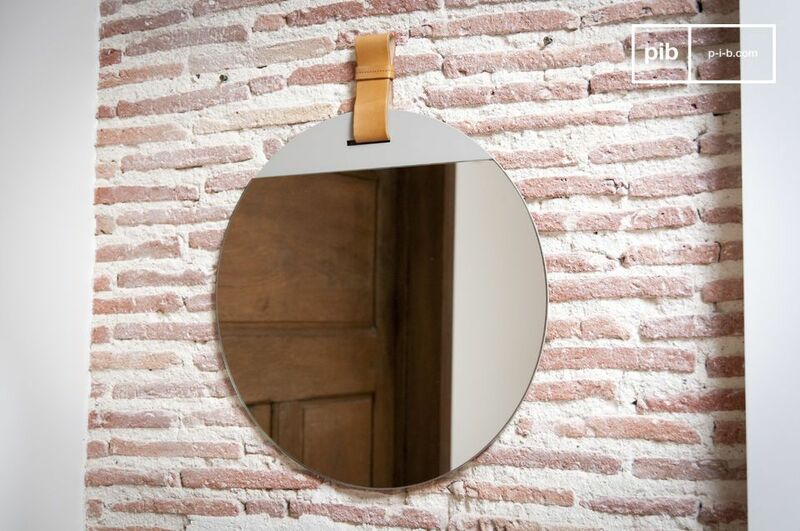 Suspended by a thick leather strap, this large entrance mirror exudes style. 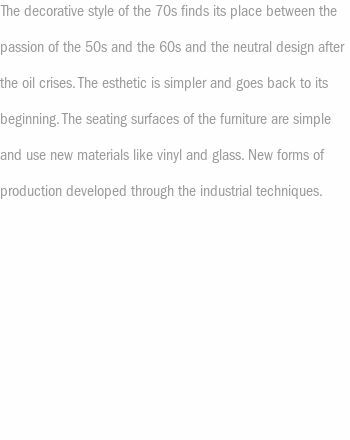 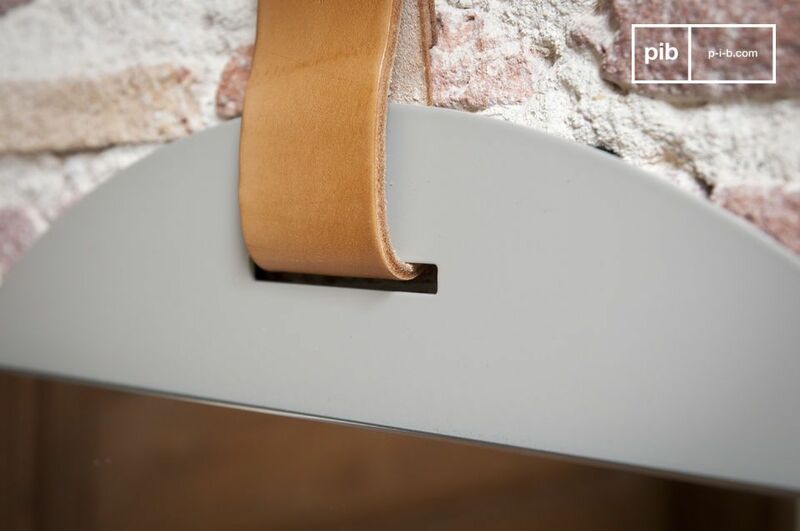 The use of three very different materials; glass, grey metal and leather, offers a very aesthetic contrast. 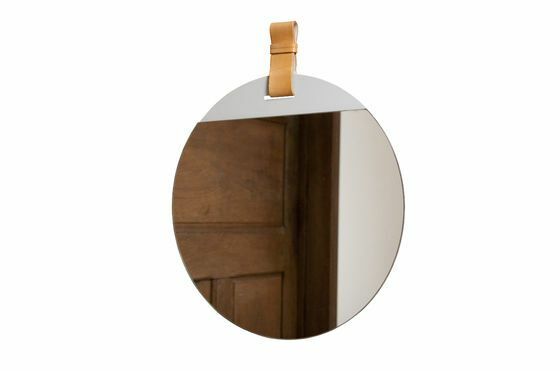 The result is an original mirror that will find its place in an entrance, bedroom or bathroom. 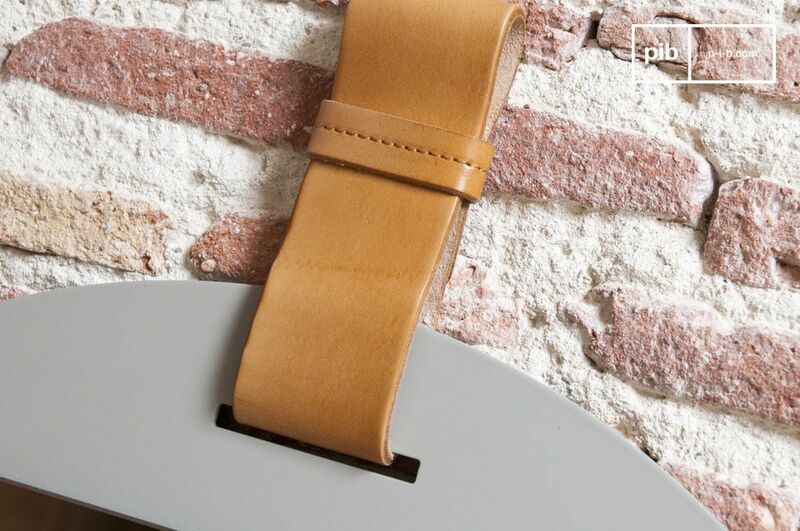 The back of the leather strap has a metal eye piece in which to slide your nail or wall hook.